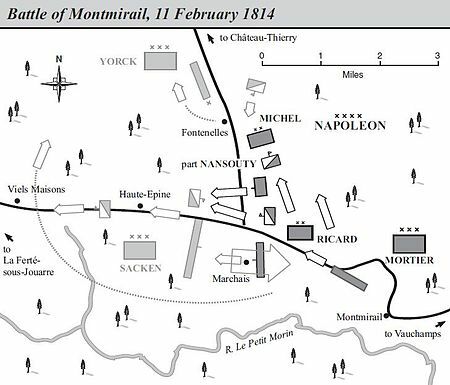 The Battle of Montmirail 11 February 1814. After his victory at Champaubert on 10 February 1814 Napoleon’s army was in the middle of Prince Gebhardt von Blücher’s widely scattered Army of Silesia. General Johan-David-Ludwig Yorck’s 18,000 strong Prussian corps was at Chateau-Thierry and Viffort. Prince Fabian von Osten-Sacken had moved his Russian corps of 18,000 men and 90 guns west from Montmirail towards Trilport. The remainder of Blücher’s army was heading from Vertus, to the east of Champaubert, south west towards La-Fère-Champenoise. Blücher ordered the troops moving away from Vertus to turn round and return there. Yorck was told to join Sacken at Montmirail, and to keep the bridge at Château-Thierry open in case they had to retreat across the Marne. Sacken’s instructions were to clear the road to Vertus with support from Yorck. They made no mention of any potential retreat across the Marne. 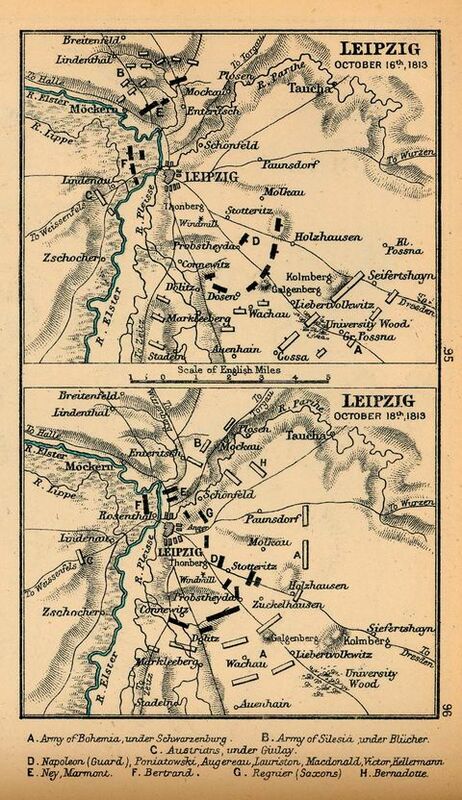 Napoleon made what David Chandler calls ‘the wise decision to concentrate on destroying the Prussian forces lying to the west.’ Blücher could have evaded an attack to the east by retreating to Châlons, with Sacken and Yorck being able to retire across the Marne. He therefore left Marshal August de Marmont with 4,000 men to screen Blücher. The other 20,000 would attack towards Montmirail. Marshal Jacques MacDonald, who had been retreating towards Meaux, was ordered to take Château-Thierry and its bridge in order to block the enemy’s line of retreat. Yorck, whose orders arrived late, sent a message to Sacken suggesting that he move towards Château-Thierry so that they would meet sooner. Sacken, however, obeyed his orders and headed east. When he encountered the French at the village of Marchais beside the junction of the roads to Château-Thierry and Montmirail, he deployed his troops south of the east-west road, increasing his separation from Yorck. Mud had hampered Napoleon’s advance, so he was initially outnumbered, but his force of 5,000 infantry and 4,500 cavalry of the Old Guard, 1,800 conscripts and 36 guns had a qualitative advantage. Napoleon was aware that he was taking a significant risk in fighting when outnumbered. Yorck could arrive before French reinforcements, making poor odds even worse for the Emperor. 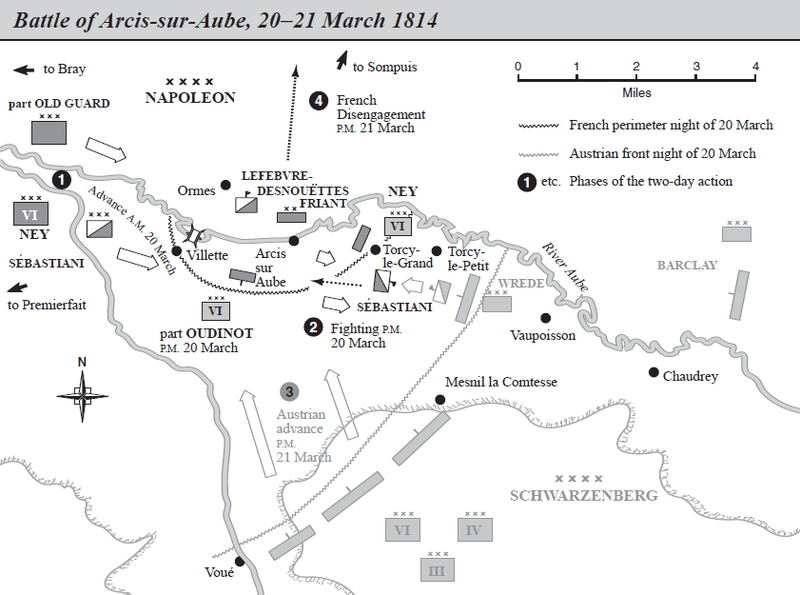 In the late morning and early afternoon Sacken attacked, taking Marchais by 11am. Napoleon made some attempts to retake Marchais, but mostly defended. By 2pm Yorck’s advance guard was approaching. However, he moved slowly, bringing up only a small proportion of his corps. Dominic Lieven says that the road that he was advancing on was shown to be paved on Coalition maps, but was actually a muddy track. At 3pm Marshal Édouard Mortier arrived with French reinforcements. Napoleon now had a reserve, so could attack. Marshal Michel Ney led six battalions of the Old Guard against Sacken’s left flank, which he had weakened in order to bolster the defences of Marchais. The French broke through Sacken’s first line. They then repulsed Russian counter attacks with the help of Imperial Guard cavalry. Napoleon wanted to completely destroy Sacken and Yorck’s corps, but this relied on Macdonald cutting their line of retreat by beating them to Château-Thierry. He moved slowly, allowing most of the Coalition troops to get across the bridge, which they then burned. Chandler says that Napoleon lost 2,000 men and Sacken 4,000 at Montmirail: it is not clear if the latter figure includes losses from Yorck’s corps. He states that 3,000 Prussians, 20 Coalition guns and a large number of wagons were captured at Château-Thierry. He does not give French casualties at the latter battle. 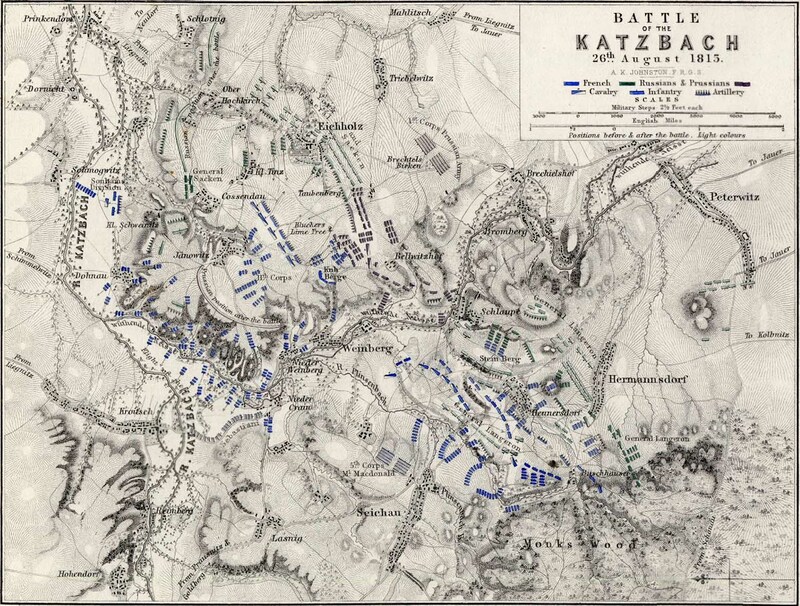 Petre’s casualty numbers are more detailed, but not radically different: 2,000 Frenchmen, 2,000 Russians and 900 Russians killed and wounded and 900 Russians captured, with 12 Russian guns lost at Montmirail. He says that the Prussians lost 1,250 men, 6 guns and some of their wagons, the Russians 1,500 men, 3 guns and most of their wagons and the French 600 men at Château-Thierry. His figures add up to Coalition losses of 6,550 men and 22 guns against French casualties of 2,600. D. Chandler, The Campaigns of Napoleon (London: Weidenfeld & Nicolson, 1966), p. 970. D. C. B. Lieven, Russia against Napoleon: The Battle for Europe, 1807 to 1814 (London: Penguin, 2010), p. 488. Troop strengths are from Ibid., pp. 970-73. F. L. Petre, Napoleon at Bay 1814 (London: John Lane, The Bodley Head, 1914), p. 64. Petre, Napoleon at Bay 1814, pp. 66-67. R. Ashby, Napoleon against Great Odds: The Emperor and the Defenders of France, 1814 (Santa Barbara, CA: Praeger, 2010), p. 100.